Film-Arcade.net: Get Ready for Some Bloodshed with "Varsity Blood"
Get Ready for Some Bloodshed with "Varsity Blood"
Image Entertainment recently send us over information for the upcoming release of "Varsity Blood. The upcoming film stars Lexi Giovagnoli (1 Chance 2 Dance, 3 Times a Charm), Wesley Scott (Deep in the Heart), Debbie Rochon (Tromeo and Juliet), Natalie Peyton, Blair Jackson, and Elyse Bigler . No special features were announced at this time. "Varsity Blood" hits DVD on 8/19. Image Entertainment, an RLJ Entertainment (NASDAQ: RLJE) brand, brings you the slasher film Varsity Blood, available on DVD on August 19, 2014. Directed and written by Jake Helgren (Finding Mr. Wright, Bloody Homecoming), the film stars Lexi Giovagnoli (1 Chance 2 Dance, 3 Times a Charm), Wesley Scott (Deep in the Heart), Debbie Rochon (Tromeo and Juliet), Natalie Peyton, Blair Jackson, and Elyse Bigler . 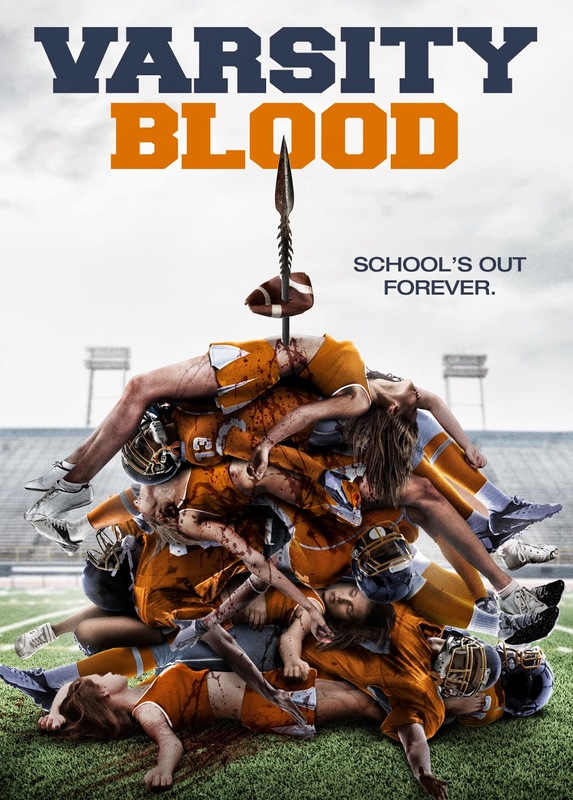 Varsity Blood will be available on DVD for an SRP of $27.97. This football season, Hogeye High’s Warriors and cheerleaders are out for blood. Unfortunately, someone is out for theirs, and they’ll be forced to take one for the team. After the big Halloween football match, the students are joined by an uninvited guest dressed as their high school mascot armed with a bow and arrow, a battle-axe, and an insatiable appetite for butchery. Soon, they find themselves fighting for more than the winning score as terror becomes the name of the game. Featuring “enough inventive kills to keep even the most rabid gorehound happy,” Varsity Blood is “a supremely entertaining slasher rollercoaster” (Hysteria Lives! ).